The minister was confronting one of his biggest crises since taking on the transport portfolio in 2015. Ten MPs had filed questions on the unprecedented flooding of MRT tunnels at Bishan last month. The incident disrupted train services over a long stretch of the North-South line for 20 hours over two days, affecting 250,000 commuters. It later transpired that scheduled checks on the anti-flooding system had not been carried out, and that maintenance records had been falsified to say the checks had been done. 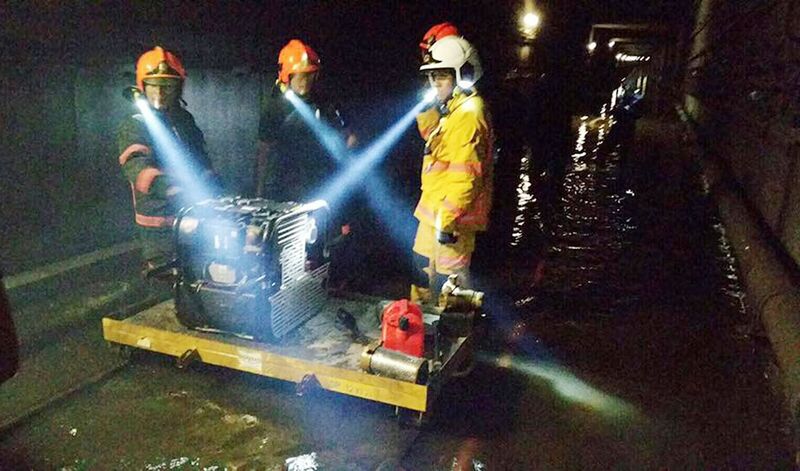 With the tunnel flooding incident on Oct 7, a new low was reached. Signs of trouble had erupted in December 2011, when huge disruptions to the North-South line affected 200,000 commuters. Since then, it has seemed to many commuters that the disruptions just kept on happening, albeit at a lower intensity. After the 2015 election, Mr Khaw - known for his Mr Fix-It approach to problems - was deployed to grasp the nettle of train troubles. He had just spent a full term at the National Development Ministry, where he had success overcoming a housing shortage, ramping up building to meet demand. As he stepped up to speak last week, two years into his job, the public might have seen a man who had finally met his match. The housing wizard looked to be losing the fight against gremlins plaguing the railway. He is mere mortal, after all. Mr Khaw looked tired. He was tired. 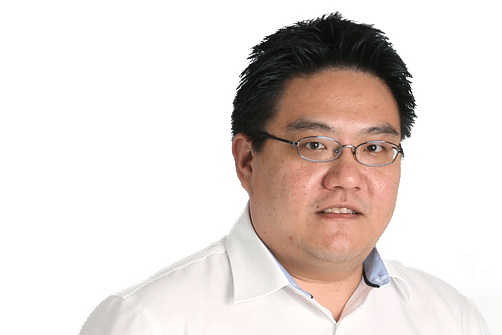 He said during the debate on Tuesday that he and SMRT chairman Seah Moon Min slept just 20 hours since the flooding incident. "I have done a lot in the past two years and I have aged five years along the way," he said. He went on to deliver one of the most memorable parliamentary remonstrations of recent memory. Mr Khaw's statement to kick off the debate was 5,600 words long. But in the end, it was not merely the points he made that mattered. It was the way he delivered the points that made the bigger difference. There were two paths he did not take, that are important to note. The first is that of being combative and defensive. Had he been coming under unfair attack - which he was not in this case - hitting back forcefully might be a way to show that he was no pushover. The second was that of delivering composed and precise responses. Perhaps in a crisis where there is great uncertainty, and people are looking for calm leadership and clear instruction, this might work. But last Tuesday, Mr Khaw chose to be frank and vulnerable - at times even emotional. He explained in detail issues that MPs wanted discussed. Indeed, in wanting to lay things out transparently, he at times disclosed more than perhaps was intended. For example, he may have inadvertently announced his retirement from politics at the next general election, when he said the ongoing overhaul of railway systems has its destination in 2024, adding: "I will not be in this House by then". He also took listeners behind the scenes on how he handpicked leaders of SMRT and the Land Transport Authority. And it was on this issue of personnel that he made another disclosure - intended or otherwise. He said SMRT CEO Desmond Kuek "volunteered" for the job, and that his heart was thus in the right place. This remark has since been labelled a gaffe by netizens who ask how someone earning a seven-digit annual package can be said to have "volunteered" for anything. Whether or not one agrees this was a gaffe, the point here is that the moment Mr Khaw decided he was going to speak freely and naturally, he knew he was risking a verbal slip. Yet, if he stuck to a script throughout, it would not have had the same effect. Mr Khaw chose to speak uninhibitedly, because he knew this was important for connecting not just intellectually but emotionally as well. He wanted to look his listeners in the eye - and not at notes - and be able to communicate authentically. In more than a few instances, he also exposed his own frailties. He used his medical problems as analogies. He turned supplicant when he asked MPs if they would explain to residents what was being done to improve the train system - calling the MPs "influential" people. And he admitted those in charge of trains had so many big items to worry about, they were not as focused on smaller things, like the simple flood pumps that failed on Oct 7. "We just don't have so much time to do so many things," he said, in an astonishingly forthright moment. He came across as real and human. But there are those who do not accept that the minister's speech, however persuasive, can make up for poor passenger experience. They argue that the heart of the issue is whether people feel the improvements in their everyday commutes - a point underscored by another breakdown on the East-West line on Friday night, after the speech. These voices are not wrong. Mr Khaw has said that the light at the end of the tunnel is approaching on commuter experience. He noted that the mean kilometres between failure or MKBF - the standard measure for reliability - has risen from 133,000 train-km in 2015 to 425,000 train-km this year. But he also pointed out why commuters are not feeling it yet - because of the concurrent re-signalling project, which will improve the system in the long run but necessarily involve short-run disruptions. The proof of the pudding is in commuter experience indeed improving as promised. But part of the battle is about communications. Speaking to commuters, one does not get the sense that people understand this point on re-signalling, and the need for short-term pain in exchange for long-term gain. This needs to be better communicated. This is like having a construction site in your neighbourhood. People can put up with the smoke, dust and noise from the site if you can convince them that at the end of it, they will enjoy, say, a brand new sports centre - and also if they are given a clear construction completion date. The minister proved last Tuesday that he is a master communicator. He needs his transport bureaucracy to do the same on a daily and weekly basis, so the message gets out.